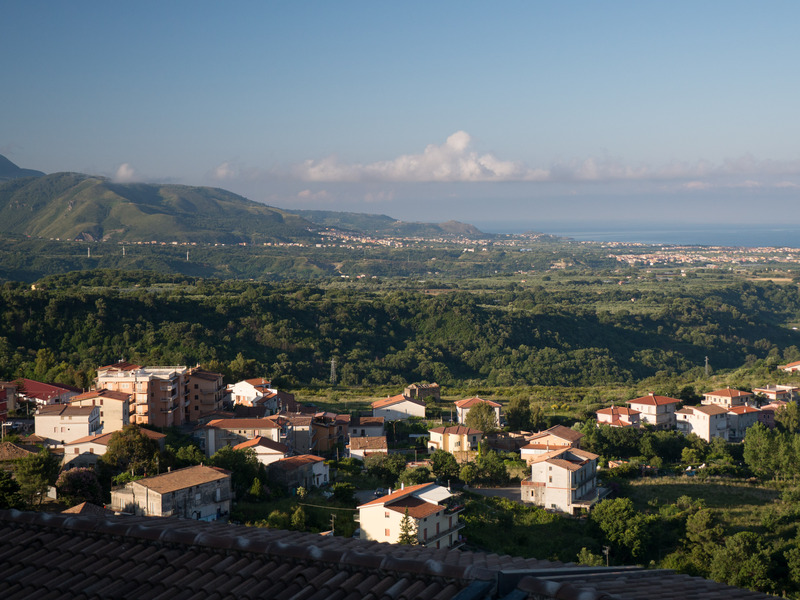 Sunshine, the sea, astonishing natural beauty, unbelievably good pasta, pizza, and wine, and friendly, warm people! 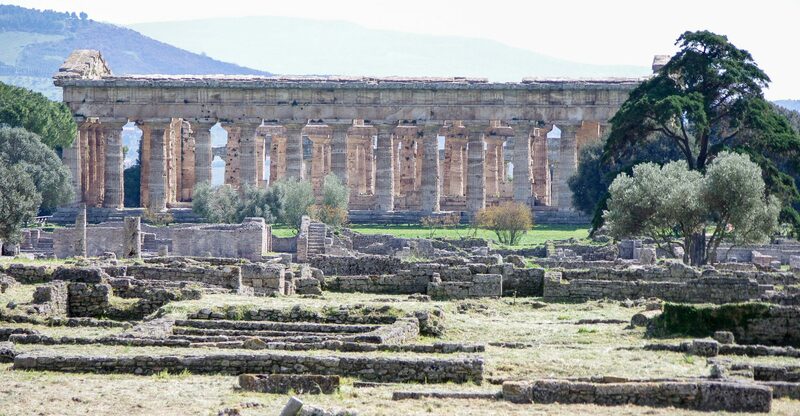 These are the reasons my wife Chris and I bought an apartment in Santa Domenica Talao five years ago, in a 400-year old hilltop village in Southern Italy. 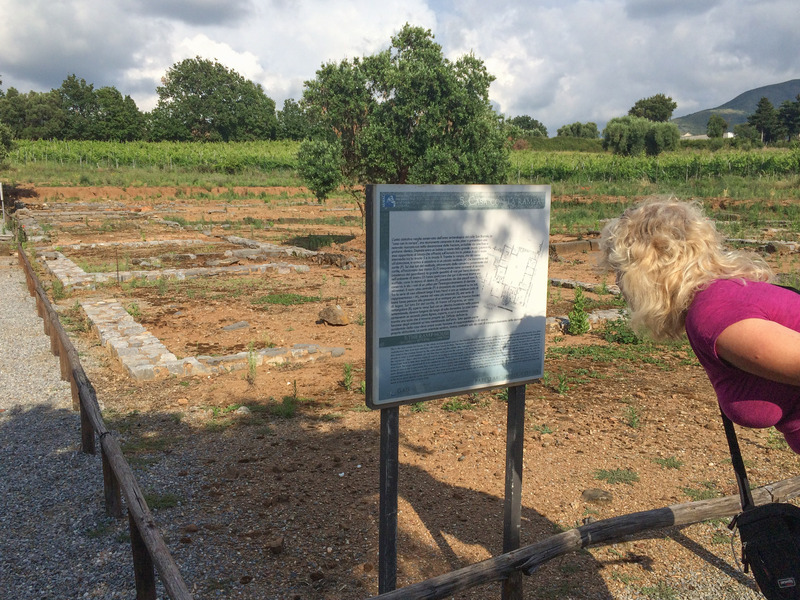 We also knew the area had a deep rich history, but little did we know we would stumble upon a 2,500-year-old ancient Greek village literally in our own backyard! 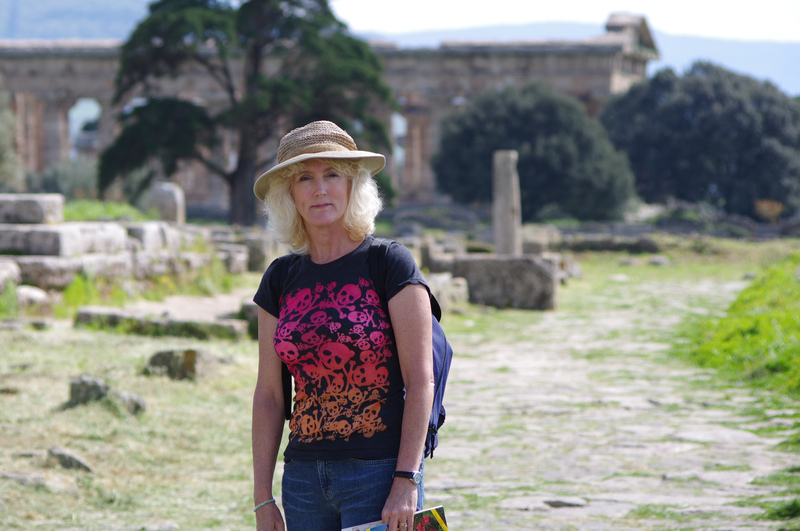 But more on that later …. 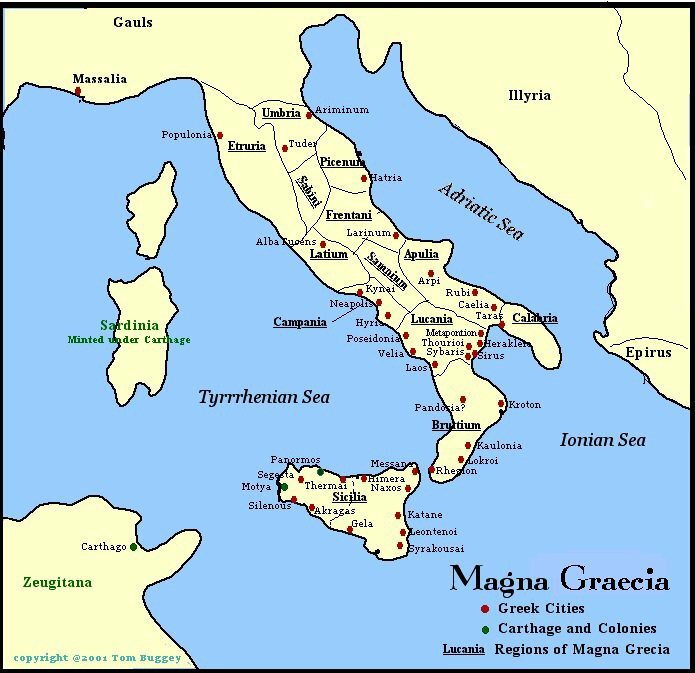 Our village is in the coastal area of Southern Italy known as the Magna Graecia (literally “Great Greece” in Latin). 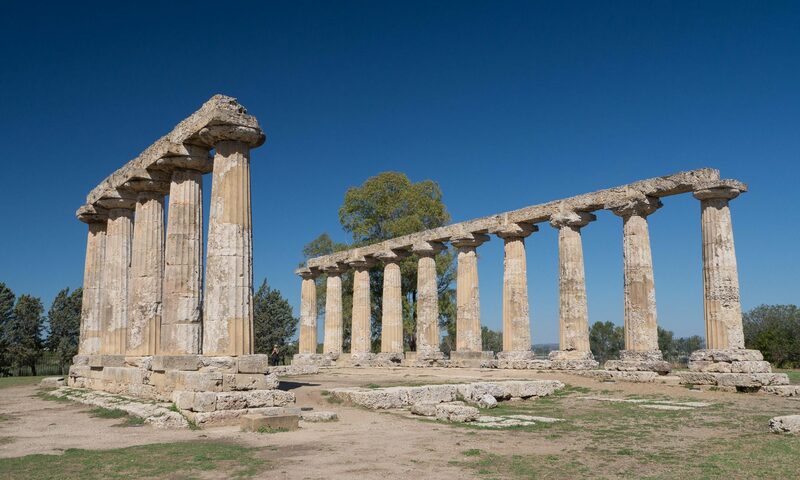 Greek settlers extensively colonized this area starting around the 8th century BC, who brought with them their dialects of the Ancient Greek language, their religious rites, their traditions of the independent city-state, and most importantly, a variety of the Greek alphabet which evolved into the Latin alphabet. 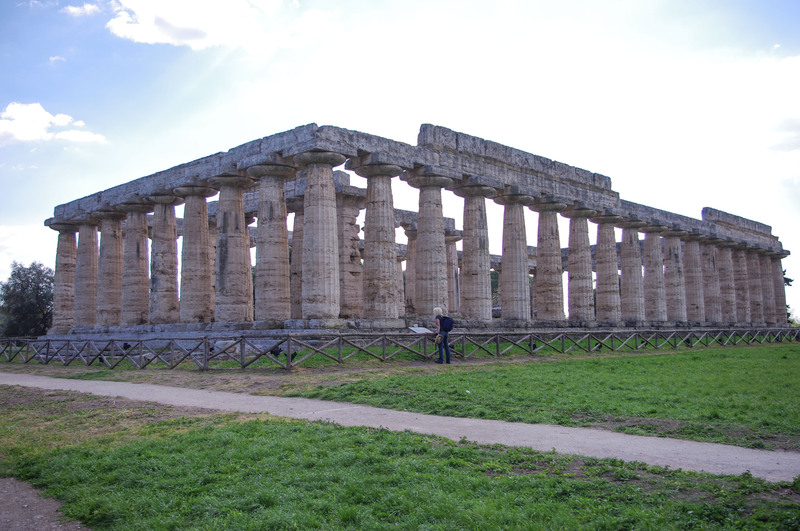 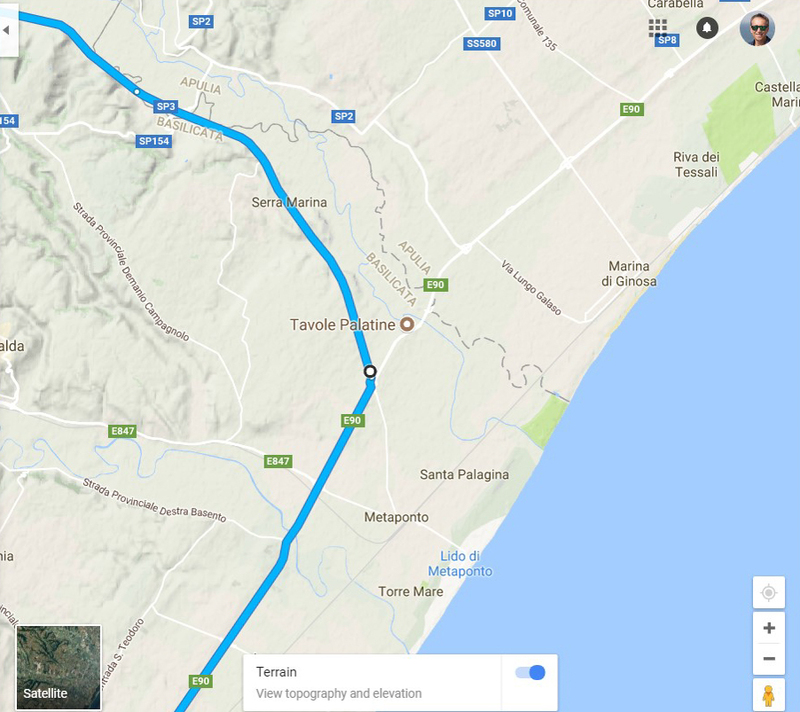 Unquestionably, the highlight of the Magna Grecia is the ancient city of Paestum, about an hour and a half away by train from Santa Domenica Talao, and which we visited the day before we purchased our apartment in April of 2011. 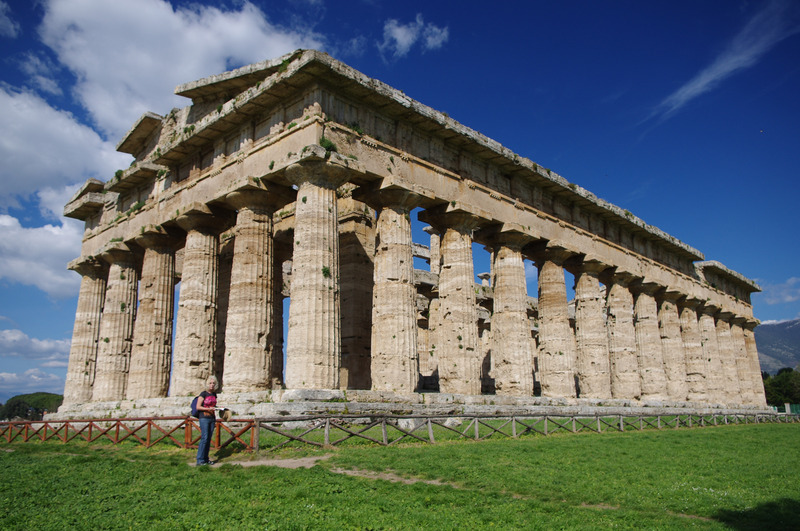 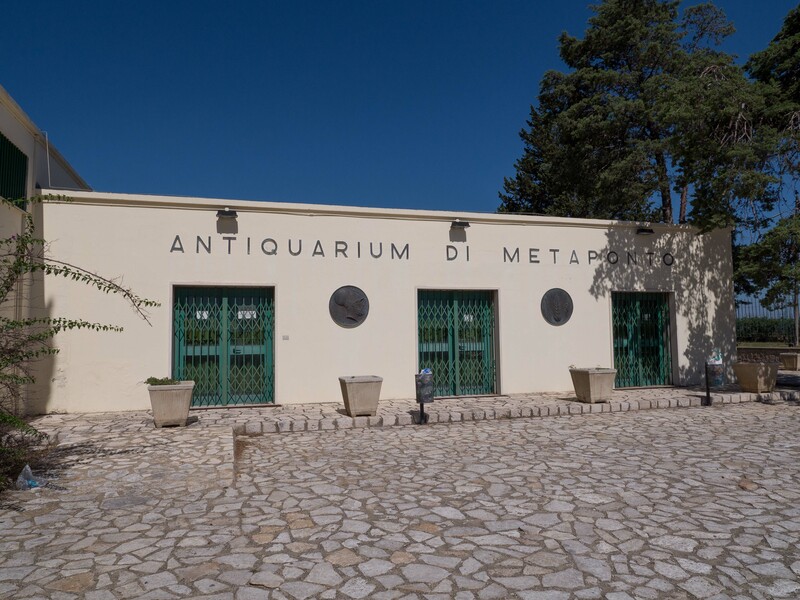 Paestum was founded around 600 BC, and it has the best-preserved ruins of Greek temples anywhere outside of Greece. 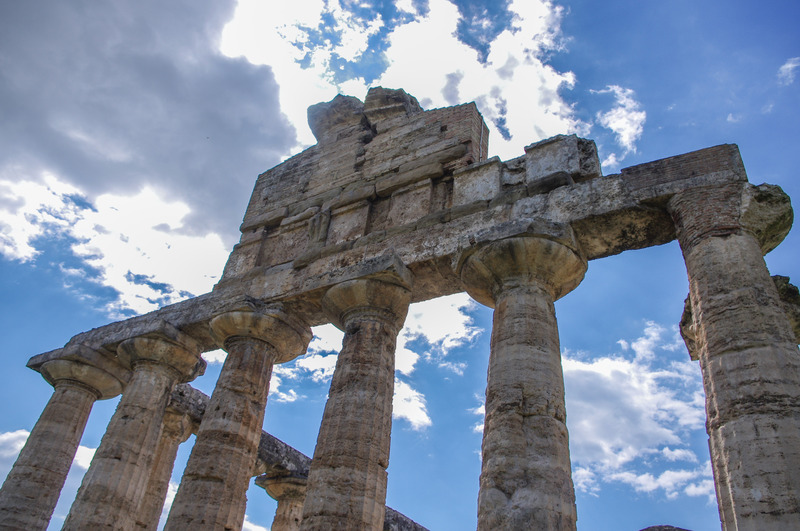 After its foundation under the name Poseidonia, the city was conquered by the local Lucanians (who named it Paistos) and then the Romans who again renamed it to Pesto or Paestum. 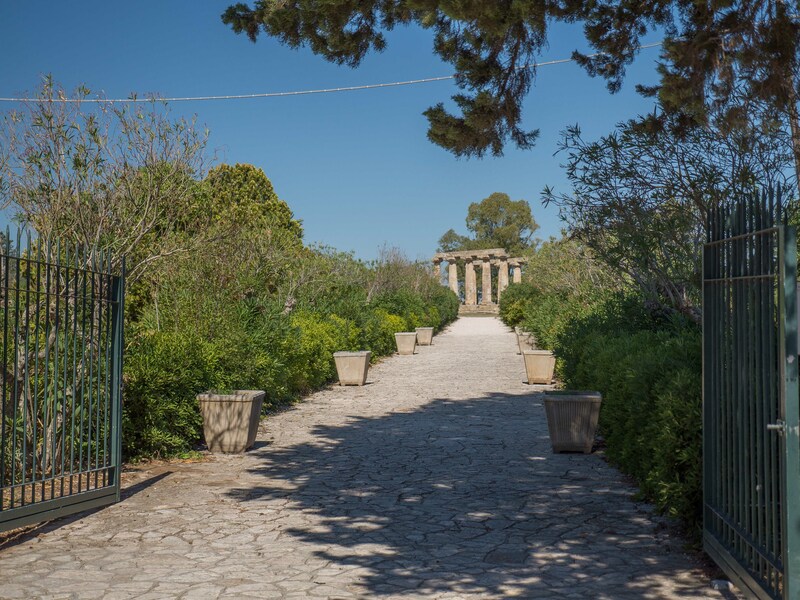 Alongside the original Greek temples, you can now see the remains of Roman roads and houses. 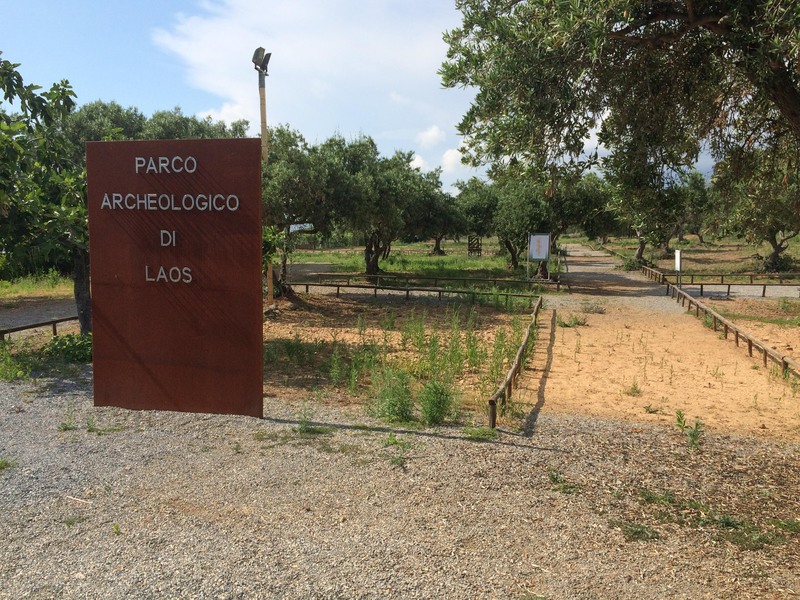 Signs on the fence confirmed that this was the site of the ancient Greek city of Laos, founded around 500 B.C.! 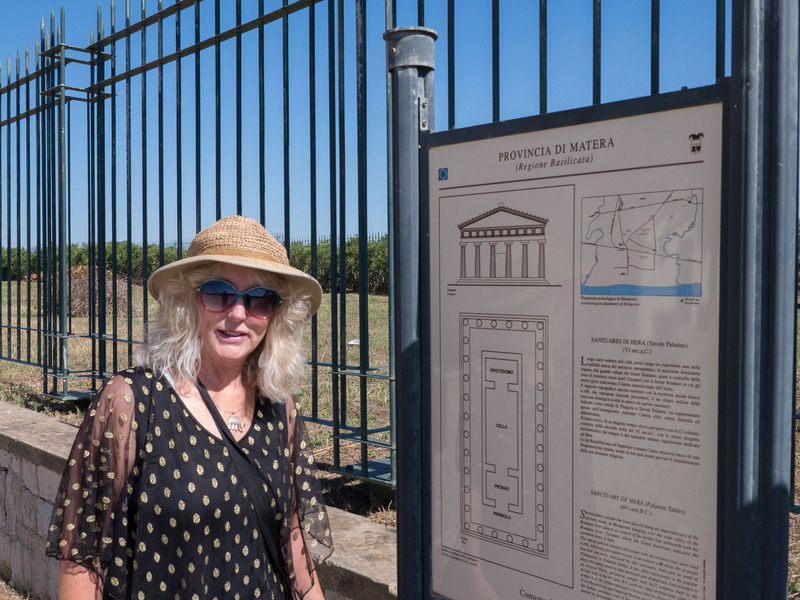 A few days later, Chris and I drove past the park and noticed that this time the gate was open and there appeared to be a tour group inside. 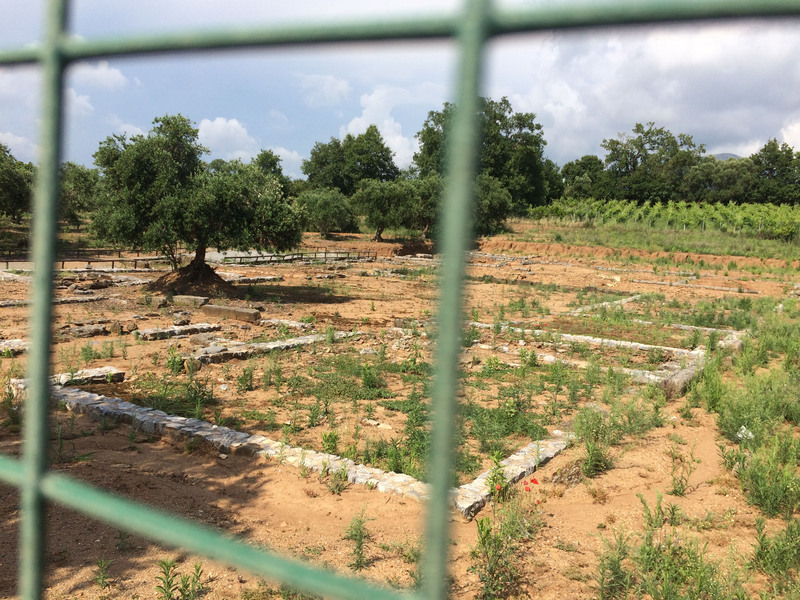 We quickly stopped and went in to look around and saw that the area encompassed a few acres of mostly remains of stone foundations of houses. 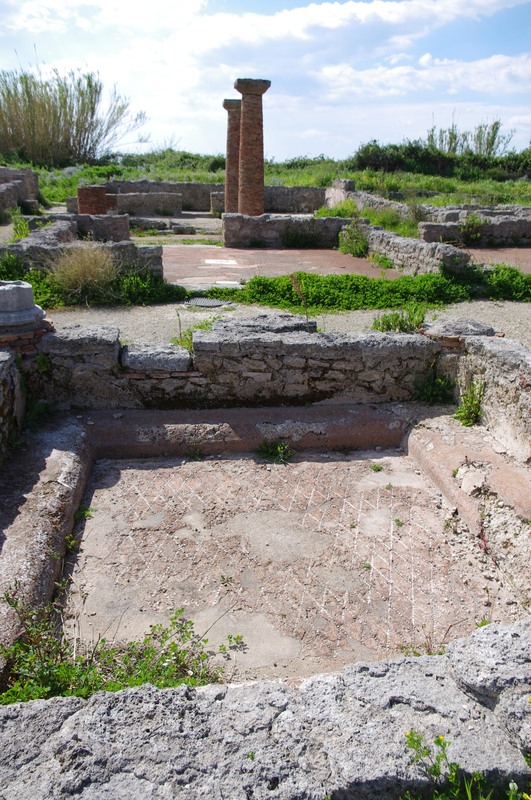 Several signs described these areas in quite a bit of detail and even described a house (“The Mint House”) that was used to mint coins! 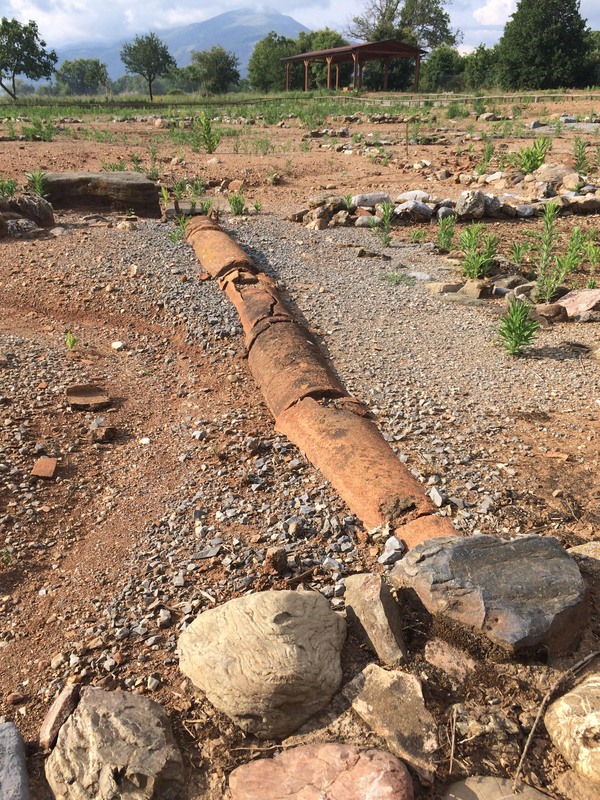 I was amazed to see that this technologically advanced city that even had terracotta sewer pipes! 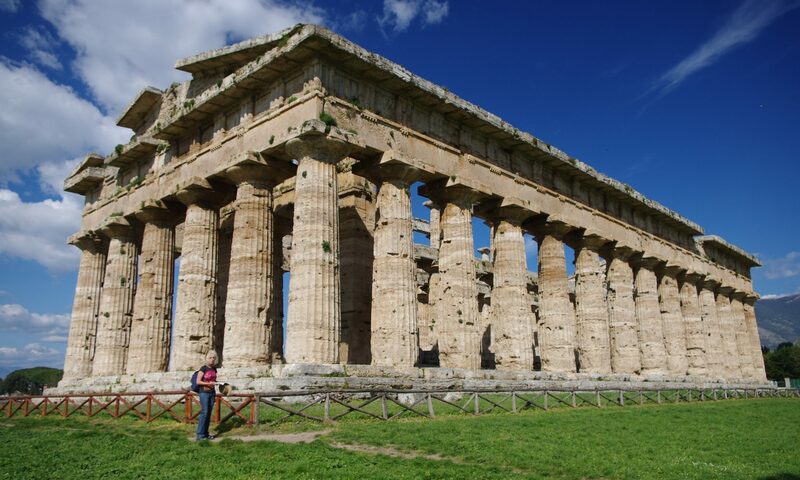 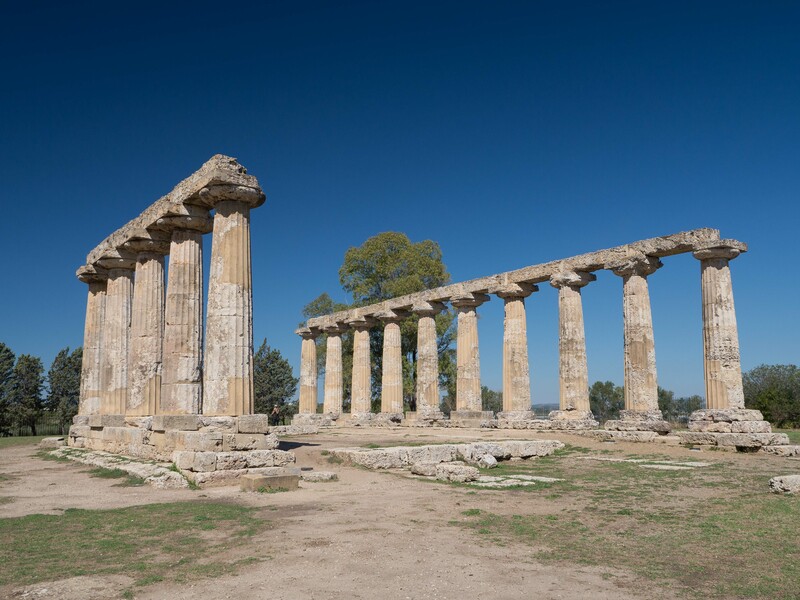 Ancient Greek cities like Paestum and Laos are only a few of the treasures of Southern Italy that await your visit! 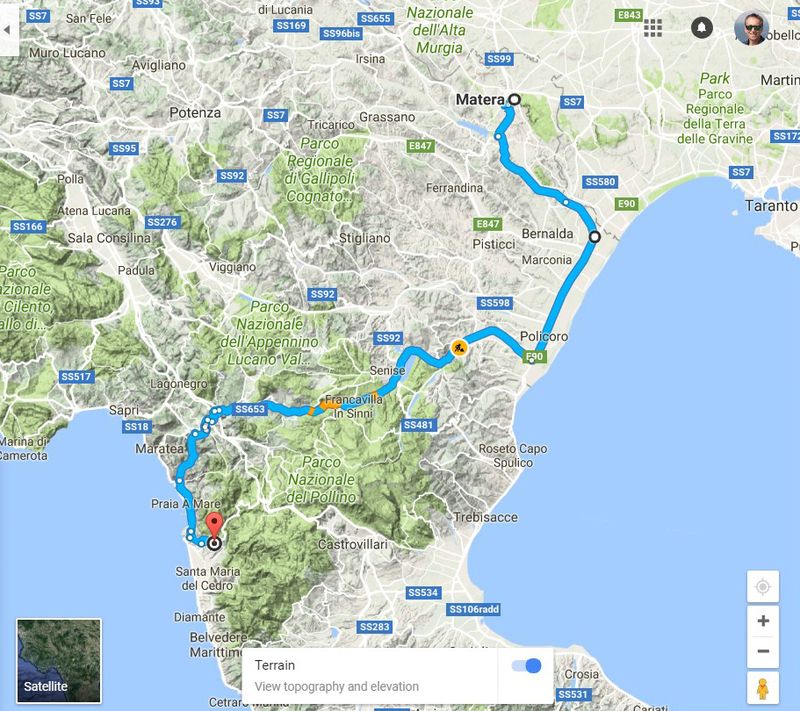 Let me know if have any questions about the area or need any tips on what to see in Southern Italy.